At Mid-State Industrial, we provide the best equipment for the job. With a variety of state-of-the-art equipment, we are able to meet our clients' needs on any job. We purchase our rigs new and perform regular maintenance to keep them functioning at the highest level. We do all of our own maintenance and even modify our machines for better performance and a customizable approach for all of our customers. With GPS tracking systems installed in our equipment, we capture valuable real-time data to help us optimize our practices and routes. This means increased driver reliability and more accurate job estimates for our clients. We hold ourselves to a high standard and consistently review our own practices to ensure we're providing our clients with the absolute best service. At Mid-State Industrial, we maintain the best equipment for the job. We do all of our own maintenance and even modify the machines to perform better for a customizable approach for our customers. Our broom sweepers are specially suited for the heaviest construction needs and gravel loading sweeper operations. The Road Wizard has a huge auxiliary engine and extra-large hopper, meaning these sweepers are designed to power through any sweeping job. 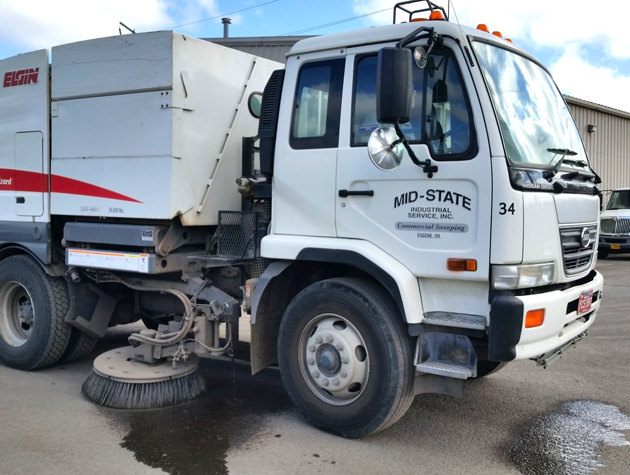 As leaders in the power sweeping industry we were the first in our region to implement a fleet-tracking GPS system for street sweepers. Since the nature of our profession requires our workforce to operate away from our headquarters, it’s important for us to have 24/7 access to vehicle and driver status and information. These GPS systems have allowed us to optimize our routes and provide clear job performance verification for all of our customers. GPS technology is jumping to the next level in business applications for field-oriented service fleets like ours. How does it work? The GPS technology captures real-time data for every scheduled job, including valuable data on how and when work has been completed. This allows us to operate efficiently and optimize our processes to give accurate job estimates and track driver performance. 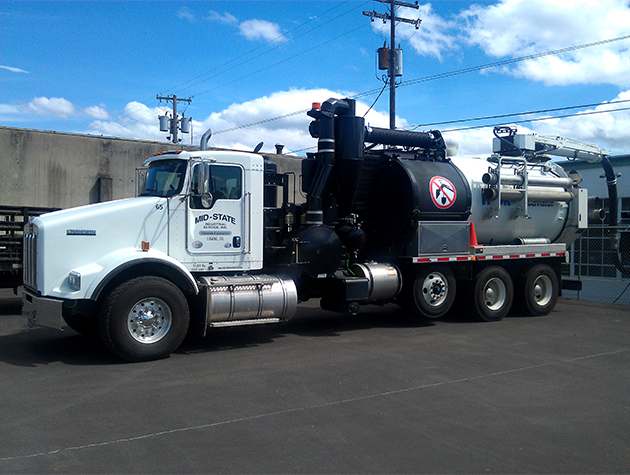 With a fleet of sweepers and vacuum trucks in the field, safety is a high priority. With a high standard enforced by our tracking technology, our operators pay close attention to their work and scheduled routes. With comprehensive data capture we can also tell when the sweepers themselves are switched on or off, informing us how long the job took to complete. We’re even able to tell whether a driver was in their seat or providing hand work outside of the vehicle. While our sweepers and vacuum trucks can pick up a lot of debris, larger pieces can jam the machinery and must be collected by hand for disposal. GPS technology offers our company and yours peace-of-mind by putting safety, accountability, and quality at the front of the line.